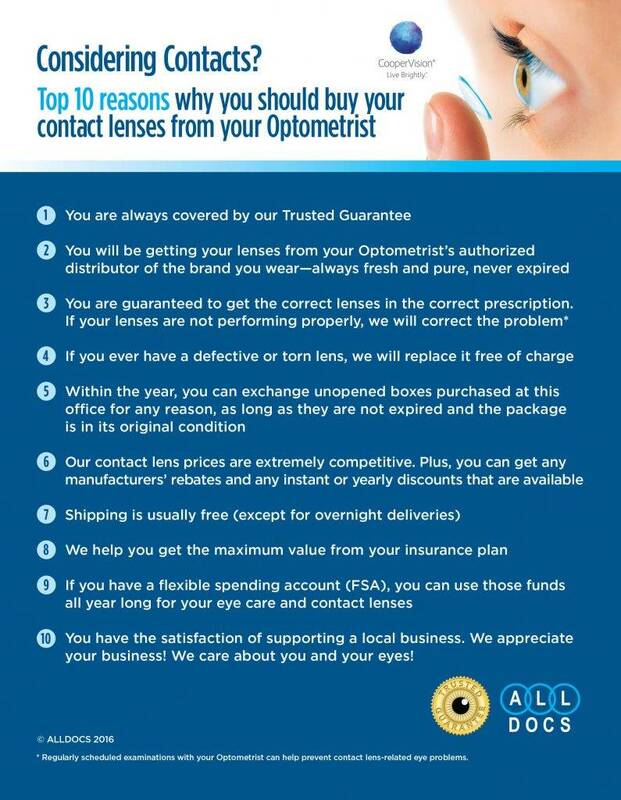 Click here to conveniently purchase all of your contact lens needs! Our highly regarded optometrists at Dr. Steven R. Warstadt & Associates will recommend advanced eye wear and contact lens solutions to optimize your visual acuity as well as the quality of your vision. You may purchase eye wear inside LensCrafters, where our practice is located, or at any other eye wear provider you choose. I want to wear contact lenses but my allergies are awful during the spring and fall here in Atlanta, what can I do? Although full time wear might not be possible, daily disposable contact lenses are a perfect choice. A fresh new pair on a daily basis keeps comfort high. They are the healthiest, most hygienic option. With a new pair everyday there is no buildup of debris or pollen on the lenses. OK I like the better comfort and convenience thing but I have astigmatism. Do they make lenses for this condition? Absolutely! We fit and evaluate several different brands. Oh by the way, I also wear no line bifocals and reading glasses. Anything for me? Sure thing! Daily disposable multifocal lenses are available and we are experts in fitting and evaluating them. So I will throw you a curve. I have astigmatism and wear reading glasses. Are there daily disposable lenses made with this type of prescription? No, not yet however we have several strategies available to handle these situations. My child wants to wear contact lenses. I am concerned about the health aspect of contact lenses. We recommend daily disposable lenses for all children, in fact everyone, again due to the health and convenience considerations. A CDC study reported that 85 percent of teenagers use contact lenses improperly “upping their odds for serious eye infections”. 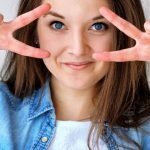 These risky habits include “sleeping, napping or swimming with their contacts in; reusing solution; rinsing lenses in tap water; or not replacing lenses and storage cases as recommended.” The survey also found about 81 percent of young adults between 18 to 24 and 87 percent of adults 25 and older admit to at least one lapse of not following contact lens care guidelines. Wow that’s pretty eye opening. So should I then consider wearing contact lenses? Of course. With proper use contact lens wear is safe and fun! And the daily disposable modality reduces risk. ACUVUE® VITA™ Brand Contact Lenses with HydraMax™ Technology. Learn how it provides reliable, superior comfort - all month long. Contact lenses and water are a bad combination - even when showering, swimming, or using a hot tub.